Set between the pristine valleys and mountains of the Western Ghats, Munnar welcomes one with an array of aromas from an expanse of tea and spice plantations. Thekkady on the other hand, brings visuals of a placid lake with half-submerged trees jutting out. Enveloping wildlife parks and shoal forests, these twin-towns are home to a wide range of flora and fauna as well. 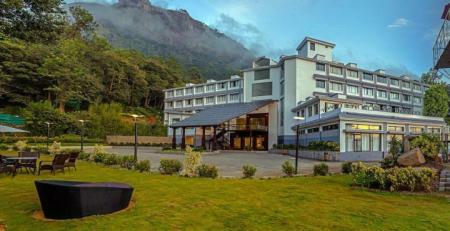 All this makes Munnar one of the most sought after destinations by families and nature lovers. The options for accommodation is a long list and you can choose from home stays, tents, bungalows, camps, hotels and resorts, which cater to different visitors-nature enthusiasts, trekkers, couples and others. Kerala is also a gourmand's paradise with an elaborate menu for vegetarians, non-vegetarians. Seafood delicacies are a standout. The sinfully pleasant climate is another major contributing factor as to why it's a perfect getaway. Tucked away among the verdant valleys of the Western Ghats, the air here is suffused with the bewitching aroma of virgin wilderness and homely hospitality that makes a visitor long to return again and again to this Garden of Eden. 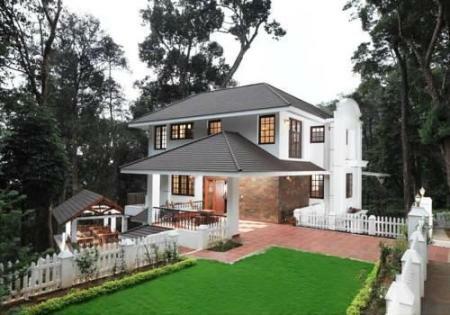 Devonshire Greens is a 4 star lavish and beautiful property. 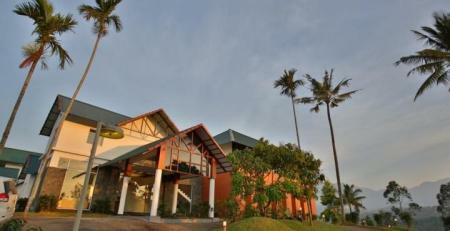 A luxury property, 9 km away from Tea Museum, has a Conference Hall, Restaurant, Coffee Shop and is WiFi Enabled. An enchanting escape into the tranquility of a timeless place. A magical journey into the heart of solitude. Behold the magnificence of Mother Nature - majestic mountains, mysterious woods, trickling streams, and sprawling valleys - Welcome to Camp Noel! A highly luxurious property, Swiss County consists of a multi-cuisine restaurant and a host of recreational activities. 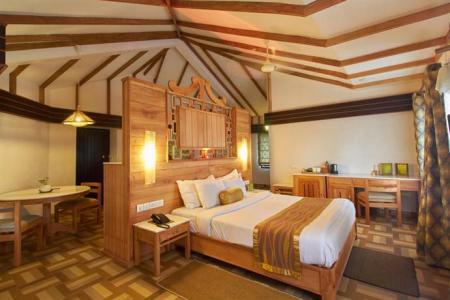 Exuding a fusion theme of traditional Kerala architecture and contemporary interiors, the resort offers well-appointed rooms, a multi-cuisine restaurant, Spa & a Holiday Activities Centre. 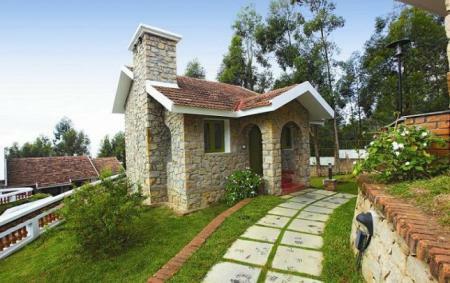 Tea County is a 3 star property that is nestled in the lap of scenic hills and lush green valley. 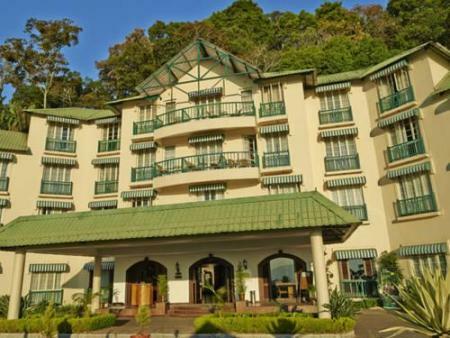 The centrally located hotel provides easy access to several tea plantations, national parks and wildlife sanctuaries Just 2.5 km from Blossom Hydel Park, Tea County features a multi-cuisine restaurant with dance floor, bar, health club and conference room. 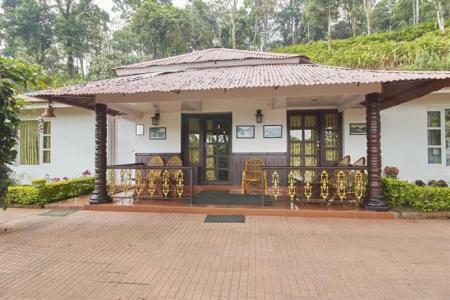 Located close to the famous Carmelagiri Elephant Park, Ambady Estate in Munnar is a perfect blend of traditional hospitality and luxurious accommodation. 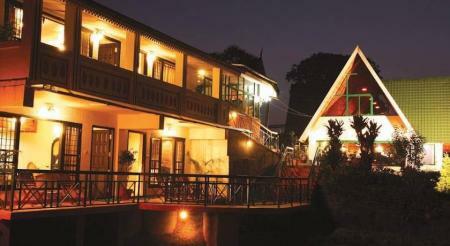 They offer treks, safaris, excursions and multi-cuisine dining options. 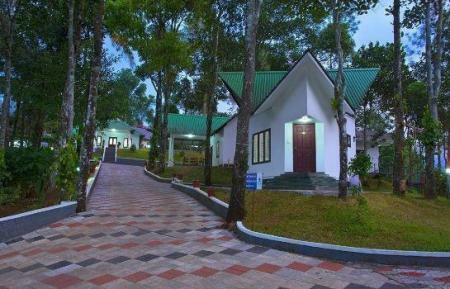 Camelot, The Camp Home - Eco Resort in Munnar is perched on the hill-slopes beyond Sevenmallay Estate enveloped in idyllic beauty, natural simplicity and pleasantness. The Olive Brooks looks like a fairy tale dwelling in the hills shrouded with fog and lined with multi hued flowers. 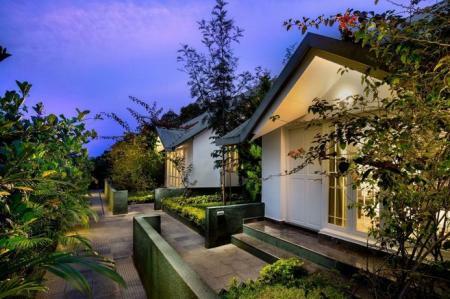 This cute little place is a home stay for those who croon for a private holiday. Around 5.5 km from Pothamandu and 7.9 km from Devikulam, Abad Copper Castle offers a health center, ballroom and multi-cuisine restaurant. 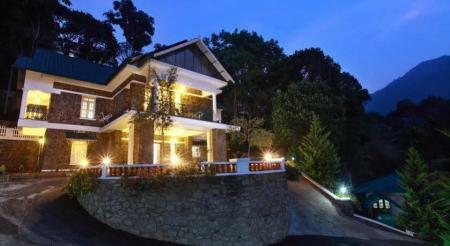 Situated on the road to Top Station in Munnar, Elysium Garden Hill Resort is a 3 star property. 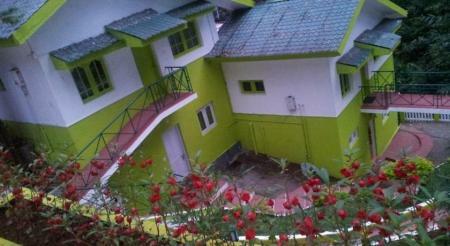 It is 1.7 km from KSRTC Bus Stand and 2.6 km from Blossom International Park. It features a stylish restaurant. 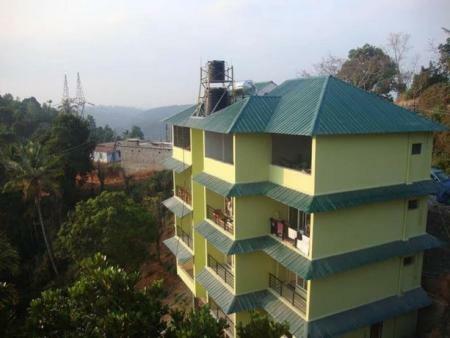 Rivulet Resort is close to a number of sightseeing destinations, and offers an activity center and games room. Guests choice of food is made, all with organic vegetables! Deep Woods Resort, a 3 star property, is an ideal getaway for travelers who want to spend a memorable and peaceful vacation. 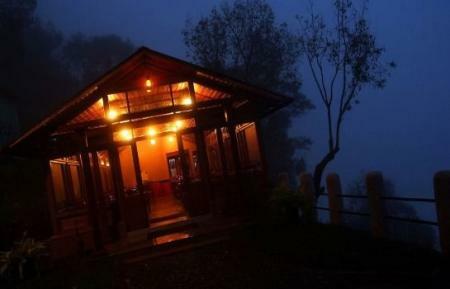 Nestling in lush greenery near tea plantations, Deep Woods Resort has travel desk, restaurant and banquet hall. 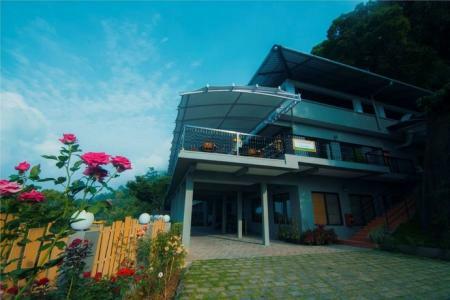 Tea Valley Resort, situated within 3 km of Blossom Hydel Park, features a conference hall enabled with internet, a restaurant, and arranges city tours. 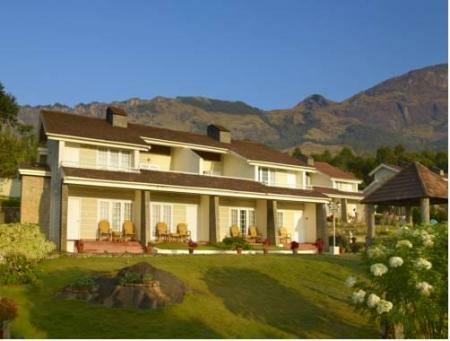 Ensconced among the mountains with its charming Indo-British architecture, the Club Mahindra Lake View Resort boasts of 104 spacious and ornate rooms, suites and cottages, each offering a panoramic view of verdant tea estates and the mystical mountain peaks surrounded by a veil of mist. Get a taste of the holistic lifestyle at this health retreat while you take part in the yoga workshops as well as other activities such as bird watching and trekking. Kaivalyam Retreat, with its stone-built cottages and surrounding plantations, is the perfect place to revitalize your mind, body and soul! Set amidst acres of lush landscape, Green Shades has beautiful views to offer as well as a badminton court and an outdoor sitting area. 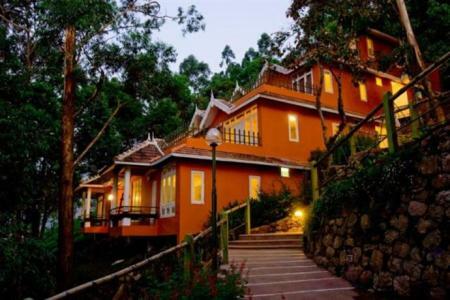 This monastery situated on the eastern slopes of the Western Ghats gives you the opportunity to learn and practice the core of Ayurveda and get in touch with your inner self. Enjoy the serenity of the place, secluded from the hustle and bustle of the city. 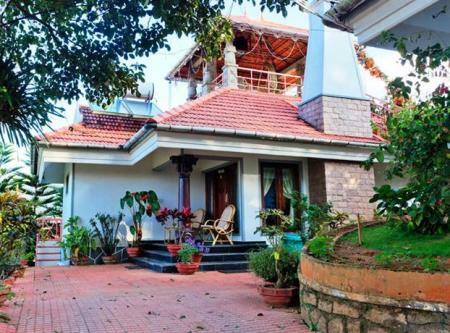 Enjoy the breathtaking views of the surrounding greenery and plantations from the comfort of the homely rooms at Woodpecker Holidays or visit the Ayurvedic centre to rejuvenate yourself-whatever it is, you're bound to have a memorable stay here! Nestled amidst widespread cardamom plantations, Blue Bells Valley Resort is the perfect getaway for nature lovers, honeymooners and other travelers as well. Guests can enjoy the picturesque location or indulge in the Ayurvedic treatments the resort has to offer. Spread over acres of plantation, Misty Lake Resort offers its guests the comfort of spacious rooms and the opportunity to get in touch with nature. With a natural waterfall in its premises and a stream flowing alongside the rooms, Falling Waters offers you a one of a kind experience in Munnar. Guests can also take part in various activities organized by the resort including trekking, safaris and more. 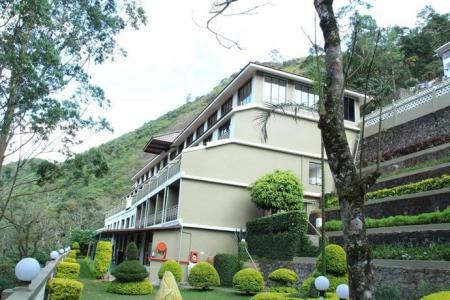 Kerala's highest resort, surrounded by valleys and hills, set amidst acres of tea plantations, Deshadan Mountain Resort has a lot to offer including wonderful views and activities such as campfires and sightseeing. Munnar is one of the most sought after holiday destinations in India and Green Valley Vista ensures you have a memorable stay here. Guests can avail the various services offered including massage services and a fitness centre or just sit back and enjoy the picturesque views of the surrounding area. 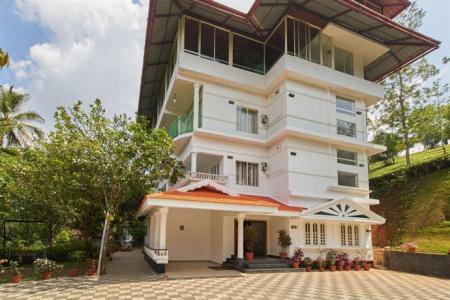 Overlooking the Muthirappuzhayar river, Westwood Riverside Garden Resort has several amenities and activities to offer to ensure its guests have a comfortable and fun-filled stay. 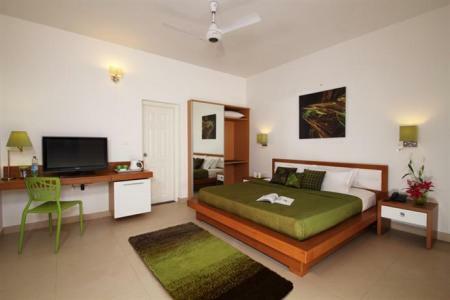 Guests can avail the fitness facilities and Ayurvedic treatments as well as the cooking lessons. For the adventurous, hiking activities are also available. For those who want to relax, the open-air riverside BBQ cafe is also a good option. Apart from breathtaking views, Wild Elephant Resort has a wide range of activities to offer including jeep safaris, fishing and a swimming pool. 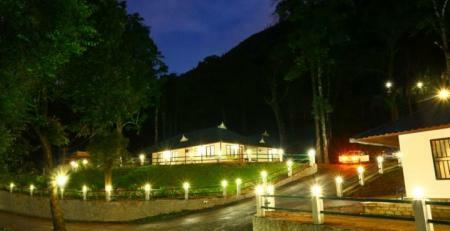 Guests are bound to have a fun-filled stay at Munnar while they enjoy the rustic rooms and the surrounding forests. 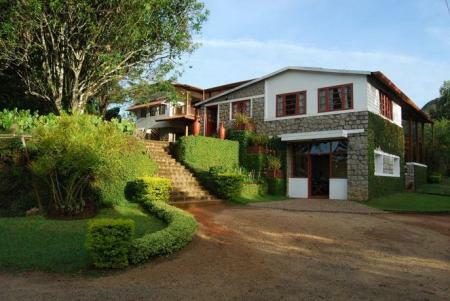 Marvel at the colonial architecture and enjoy the stunning views of the mountains at this homely getaway. 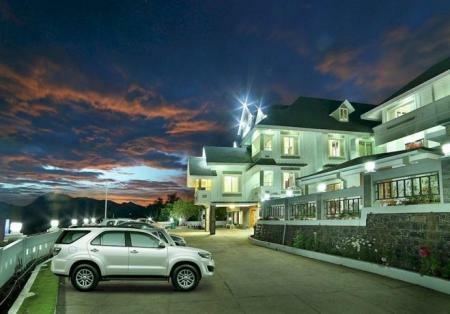 The warmth and hospitality of the place is sure to make your stay at Munnar an enjoyable one! 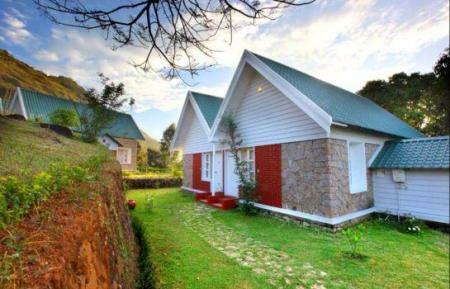 Munnar Tea Country Resort has spacious cottages and villas to offer along with private balconies and stunning valley views. Guests can also avail the spa facility or visit the health club to feel rejuvenated and relaxed. An ideal getaway destination for romantics and other travelers alike, this resort has some of the best views to offer as well as activities to take part in. T Cherry Villa, with its well-equipped rooms and antique-style teak furniture, offers a cozy setting while in Munnar to ensure you have an unforgettable experience. 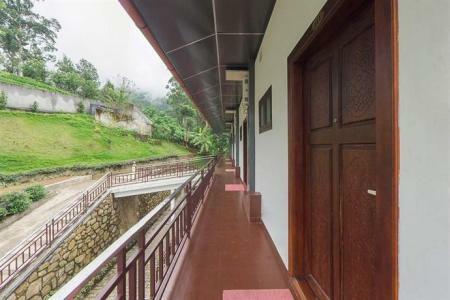 Just 10 kms away from Munnar town and spread across cardamom plantations, this resort is the perfect place for trekking and other outdoor activities. Whether its the breathtaking views or the rejuvenating yoga sessions, you'll find enough options to unwind. Lose yourself in the tranquility of the place or relax in the infinity pool while you enjoy the breathtaking view of the misty hills. Whatever it is, The Leaf is the place to be for a memorable getaway! Windermere Estate, where manicured tea gardens merge with the lush green forests of Western ghats. is hallmarked for its exquisite flamboyance and high range hospitality. Windermere is ideal if you are looking to escape away to an indulgent holiday enveloped in verdant foliage. 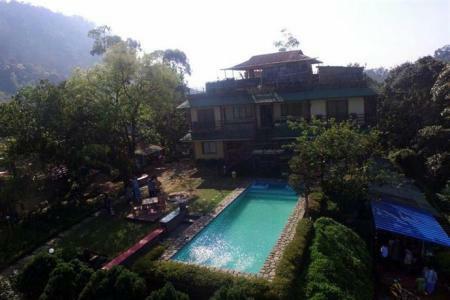 Taking you away from the hustle bustle of the city and leading you to a new world of relaxation is Aranyaka Resorts. 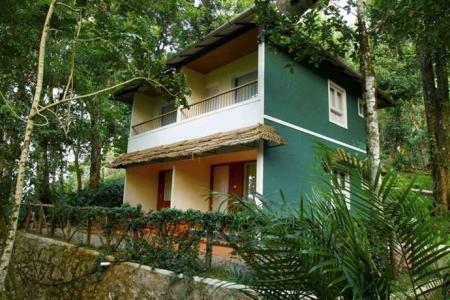 Facing the Athukkad waterfalls amidst the lush green tea gardens, it stands out in its supreme glory, offering you a calm, serene and peaceful atmosphere to relax yourself. Life here moves at a gentle pace in stark contrast to the mad rush of the cities. 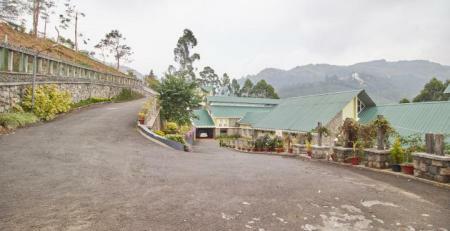 Offering restaurant, conference hall and disco, Fort Munnar lies 2.4 km away from Chinnakannal Junction Bus Stop. 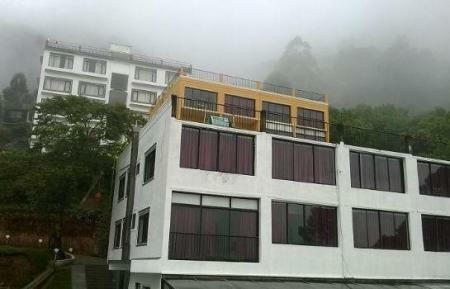 Fort Munnar is a comfortable living option for those who are seeking for a cosy place to stay in Munnar. 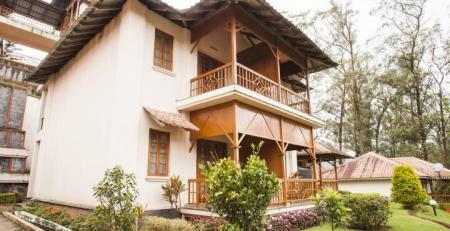 Rated 4 star, this property is roughly a 5 minute drive from Chinnakanal Junction Bus Stop. Guests have a choice of well-appointed rooms, which are classified as Executive Room, Valley View Room, Executive Suite and Valley View Suite. The hotel has a total of 26 rooms, each of which is done with wooden flooring and fitted with television, mini bar, tea/coffee maker and room heater. Royal Court is the 150-seater conference hall in the hotel that serves as suitable venue for both business and party events. 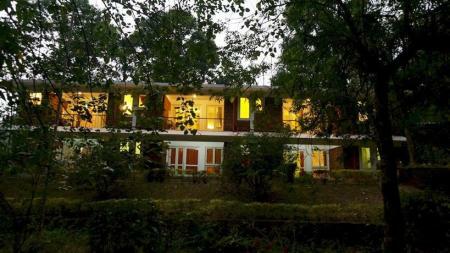 Green Leaves- the Ayurvedic centre, Stonehenge- the well-equipped gym, Screamm The Discotheque and children park are important features of the hotel. At the hotel, there is an activity centre named Regal Court where guests can enjoy indoor games and reading books. Taste mouth-watering Indian, Kerala, Chinese and Continental cuisine at the on-site multi-cuisine restaurant called Royal Dine. Guests can step in the coffee shop named Coffee Caza to enjoy refreshing beverages. Benefit from special Ayurvedic Therapies at the Ayurvedic centre of the hotel- Green Leaves. Minutes from many major tourist destinations, Mount Carmel Church, Carmal Church, St. Thomas and Carmelagiri Elephant Park, in Munnar you'll find The Club Munnar. 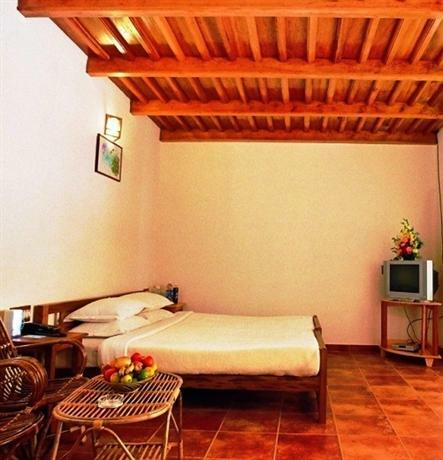 You can stay in the well-maintained rooms and enjoy many comforts. You can also explore many recreational amenities and have a great time. 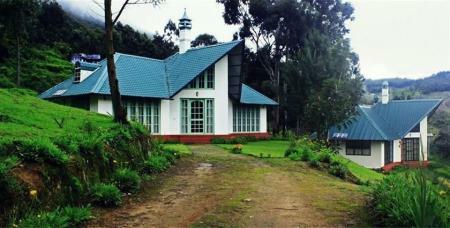 Talayar Valley Bungalow is a British built bungalow near the famed sandal wood forests of Marayur. Set amidst sprawling tea gardens, it does not impose itself on you like a conventional resort but provides an experience of spending time at home, but with your own personal array of service staff.. 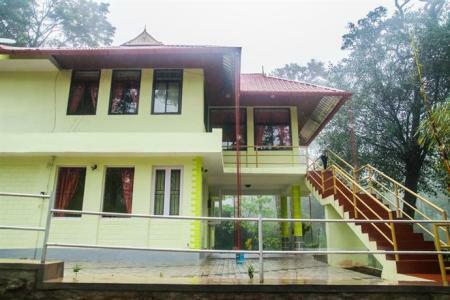 Birds Valley Resorts in a 3 star property in Munnar, located in proximity to popular tourist places like Saint Thomas Marthoma Church. A short walk from St. Antony's Shrine, Birds Valley Resorts offers facilities like local excursions, Wi-Fi internet and multi-cuisine restaurant. 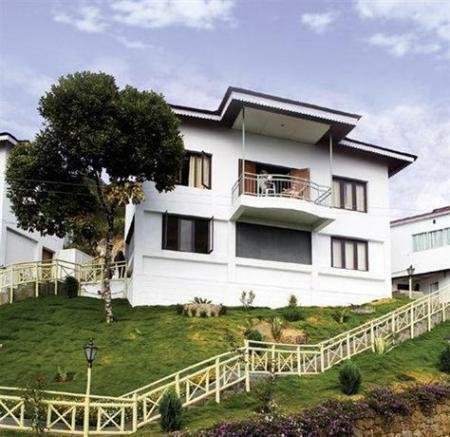 Offering an elegant lawn, parking and bonfire, Eagle Mountain Munnar is ideally nestled amidst the hills and misty forests. At this serviced villa, the guests enjoy their vacation in the serene ambiance, a splash of luxury and an abundance of nature. 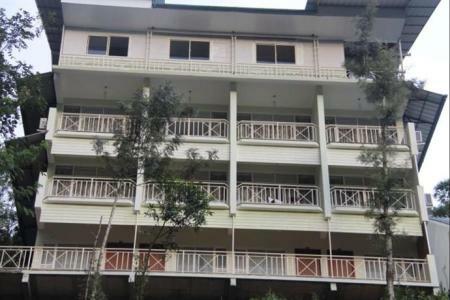 Positioned on the scenic Binson Valley Road, Bracknell Forest is a value for money accommodation in Munnar. 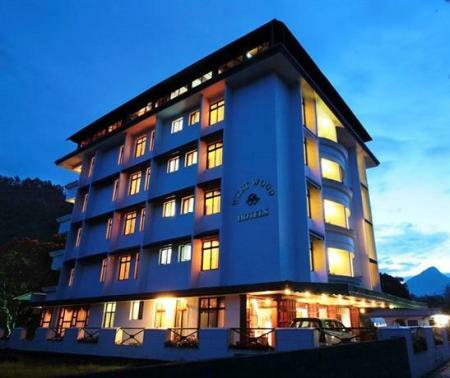 About 20 minutes drive from the main Munnar town, the hotel has library, games room, internet, travel desk and arranges for adventure activities. 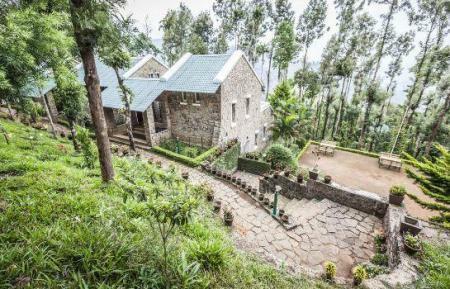 Although Munnar proper has a decent number of lodges, a considerable amount of people choose to stay in picturesque spots nearby and around the town despite some of them not being pocket friendly. This is mainly because the breathtaking views of tea estates, silhouettes of hills and lush green forest experiences tend to overshadow everything else. Luxurious resorts with great amenities are scattered all over the region, they attract huge crowds due to their easy on the eye locations and unmatched serenity. Some of these offer ayurvedic privileges, spas, nature retreats, tea plantations to soak in and romantic getaways in the blink of an eye. 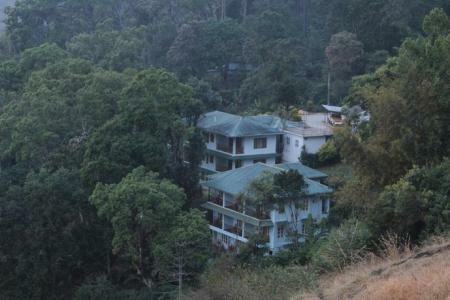 The extremely scenic Lockhart gap is a short 10 minute drive away from The Mountain Club Resort, while The Tall Trees Resort is famed for the variety of ayurvedic procedures and treatments they offer. 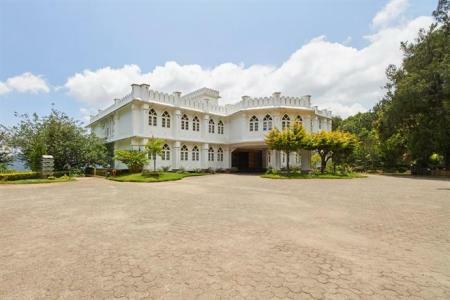 The Windermere Estate is just over a half a kilometer walk away from the impressive Pothamedu viewpoint. Panoramic views of the lush green Munnar hills can be soaked in from the highly luxurious Swiss County or you can be satisfied with beautiful sunrises over the plantations from your bedroom in Blackberry Hills Resort. 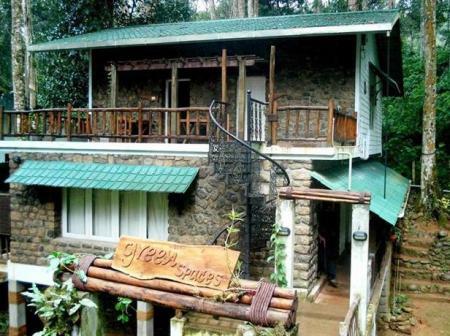 There are also budget and pocket friendly accommodations available that are worth your bucks - Green Shades resorts proposes easy access to the photogenic Attukal waterfalls, while it is easy to get lost in the serenity and calmness of Woodpecker Holidays. Green Valley Vista is economic and pretty at the same time as it delivers stunning views of hilly peaks. Spa treatments with an outdoor swimming pool at the Wild Elephant Eco Resort will not fail to impress you either. 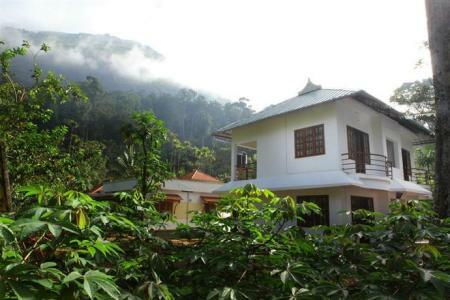 Homestays like Greenspaces and Munnar Dreams are also charming options that you can consider. How do I get to Munnar? By car - The National Highway 85 traverses through the country from Kochi (130 km) in the west to Madurai (160 km) in the east, through Munnar, hence connecting it to both the major cities. This is a scenic and well travelled route, taken by most who hail from these areas. Also, if you approach from the north, say Bangalore (470 km), then Hosur-Krishnagiri-Salem-Tiruppur-Udumalpet is the most frequently taken route. This route is as picturesque as it gets once you enter the Chinnar Wildlife Sanctuary in the Idukki district of Kerala. By bus - Munnar's inflow of local tourists is high and hence the main bus stand is always bustling. It is located at the entrance of the town at the main bazaar. Major cities like Chennai, Coimbatore, Bangalore and Kochi are well connected by private and state owned buses. By train - Aluva is the nearest major railway station to Munnar at a distance of 110 km and the quaint town is accessible from major railway junctions like Bangalore, Mumbai, Ernakulam (Kochi), Trivandrum, Coimbatore, etc. After reaching Aluva, you can hire a cab to Munnar as there are no direct buses available. The nearest functioning railway station is at Udumalaipettai, 90 km away. By air - Kochi International Airport is the closest airport to Munnar (110 km), followed by the airports in Coimbatore (160 km) and Madurai (180 km). How do I get around in Munnar? It is best to experience the chilly town of Munnar by foot, as it is tiny and accessible with narrow streets and lively markets. You can also hire a cab/taxi to get to nearby places or out of town. Local buses operate to and from the town up until late in the evening. Autorickshaws are easily available from the many busy places in the town and they are quite affordable. 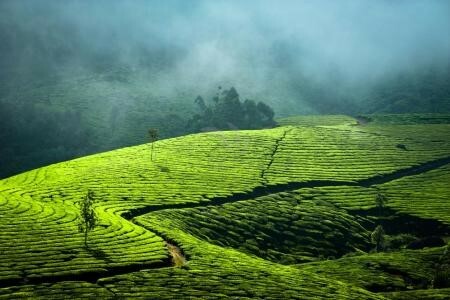 Munnar is a dream hill station with majestic views of the untouched Western Ghats surrounding you. The climate here is pleasant and ideal for a getaway any time of the year, but the best time to visit would be from the months of November to February when it is cooler than pleasant and the temperatures tend to drop by about 10 degrees celsius. The months from June to October see a relatively smaller number of tourists due to the monsoons. 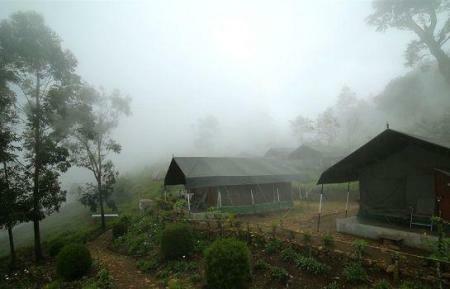 However, this is probably the best time to visit if you want to experience a more tranquil and scenic Munnar. All in all, there's no point waiting for the right time if you're planning to visit; this year-round destination will blow your mind away no matter what time of the year it is! What are the best tea plantations to visit? The tea estates here are world renowned for its century old tea traditions. 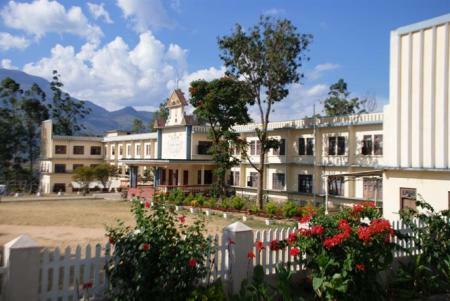 The Munnar Tea Museum is a tribute to the pathfinders of the tea industry who helped transform Munnar into a major tea plantation center in India and the world. Various stages of tea processing can be witnessed at this museum, which is also a functioning tea factory. The Kolukkumalai estate is arguably one of the most charming in the world due to its tag as the highest tea estate in the world, on the slopes of the second highest peak in the Western Ghats, Meesapulimala. The historic Sevenmallay tea estate is where the first set of tea saplings were planted in the late 19th century and it welcomes you with acres of green carpets of tea leaves. Additionally, there are over 50 spectacular tea estates you can visit in Munnar. Your stay here is incomplete without a cup of the refreshing local tea! What are the main attractions in Munnar? Although it is a small town, Munnar houses some lovely and eye-soothing natural and manmade attractions around its vicinity. The sights of tea plantations adorning the steep hill sides and spreading over miles across the horizon is a sight to behold. The Eravikulam National Park is located at a distance of 50 km from the town and is home to the rare Nilgiri Tahr, tigers, leopards, golden jackals, etc., and is a wildlife lover's paradise. Two of the highest peaks of the Western Ghats, Anamudi peak (2695 m) & Meesapulimala peak (2640 m) are an hour's drive away in adjacent directions from Munnar and are popular trekking and hiking spots for adventure enthusiasts. The Mattupetty dam provides beautiful views of the hill ranges around and is a frequented picnic spot by visitors. Boating facilities are also available here, if you want to relax in the calm waters of the lake. The Cheeyappara, Attukad and Valara waterfalls are amazing places to unwind amidst nature's wonders. Also, if you are bound to visit sometime in 2018, then don't miss out on the blooming of Neelakurinji - a rare flower that blooms once in every 12 years, occurring in the Idukki district of Kerala and some other parts of South India. A trip to God's Own Country is incomplete without tasting any treat that involves fish. Local restaurants in town do not fail to leave a mark on you. Appam or parotta with beef fry/stew is a local delicacy that is the mainstay of the population. Breakfast items like idli, vada, dosa, appam, parotta, etc. are eaten on a daily basis and you must definitely taste them on a Munnar morning. Rice is the staple diet and the use of plenty of spices like cardamom, cloves, pepper, etc. in curries should not surprise you. Some of the well known eateries are Mezbaan, Surya Soma, Thattukada (strictly evening) and the Silver Spoon restaurant. They are pocket friendly and will assure you a good afternoon's lunch. If you want a drink to soothe your throat, then a lovely cup of hot local tea is the way to go!